Ella Rhodes on EU funding and the importance of science. Brexit is coming, and with it comes much uncertainty in countless areas of life. There are particular fears for science funding in the aftermath of the exit, with many institutions relying on large EU grants and international collaboration. Psychology may be one of the more vulnerable subject areas. Between 2007 and 2013 the UK received €8.8 billion from the EU, and contributed €5.4 billion, for research, development and innovation, making it one of the largest recipients of research funding in the union. While the government has announced that EU-funded Horizon 2020 projects that were applied for before the referendum would be underwritten, and budgeted an extra £4.7 billion for science, research and development over four years, many at higher education institutes are concerned for their future. 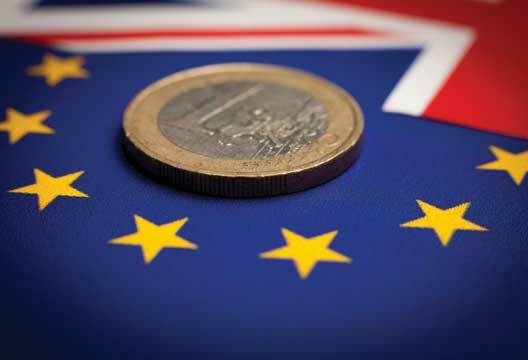 The uncertainty doesn’t just lie in funding: indeed the House of Commons Education Committee in its recent report on Brexit and higher education said the uncertainty surrounding EU staff and students, regarding issues such as residence and tuition fees, needed to be reduced immediately. Similarly, many have been advocating to remove overseas students from net migration targets to ensure our universities will continue to attract EU students and those outside the continent. We spoke to Patrick Leman, interim Executive Dean at the Institute of Psychiatry, Psychology and Neuroscience (IoPPN – King’s College London) about the future, the state of science, and how we can make the public at large believe in the importance of research. Around £36 million of the IoPPN’s research funding came from the EU over the past five years, which is close to 10 per cent of its overall research income in the same period. However, some other institutions receive as much as 91 per cent of research income from EU funding schemes. So while the IoPPN is less dependent on EU funding than others, thanks partly to large-scale funding from UK bodies such as the Medical Research Council, NIHR and UKRI, Leman said there was ‘a general sadness’ due to possible implications for the international diversity of UK science, the sharing of expertise, and our reputation overseas.